Ceiling Water Damage: What it is and How to Prevent It? In addition to providing protection, your ceiling covers unsightly beams, pipes, and wiring that run overhead. Homeowners tend to give their ceilings little thought until they start showing signs of water damage. At that point, a mold clean up company may need to be contacted, as ceiling damage is a priority that can’t be ignored. Ceiling Stains: If your ceilings are painted a bright white, discoloration will be quickly noticeable. Ceiling stains present themselves in different colors and shapes, but regardless of what the stain looks like it’s an indication that something is not right. 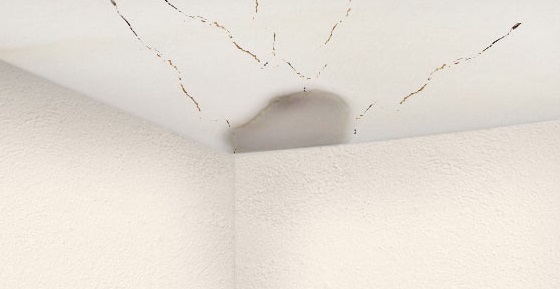 Ceiling Cracks: Cracks are a serious indication of a bigger problem. Cracks can either form as a straight line or spiderweb pattern. Bowed Ceiling: Ceilings are intended to be level and straight, not only for aesthetics but for structure purposes as well. If your ceiling begins to sag or bow, you likely have some serious issues that will need to be addressed. Peeling Paint: Unless your ceiling hasn’t been painted in a long time, the paint should not be flaking, cracking or peeling. If the paint on your ceiling is doing any of the following, it is a good indication that there is something else happening. Water Leak: When your ceiling begins to show signs of staining, sagging, or peeling paint, it is a good indication that there is excess water sitting on your ceiling drywall. Water can find its way in via roof damage, missing shingles, or clogged gutters. Other sources for excess water can be a broken pipe, an improper shower fitting, or water to leaking from an upstairs bathroom. The first step is to find the source of the water. Your local water and mold clean up company should be able to find the source, dry the area, and repair the ceiling. Excess Moisture: Aside from water leaks, ceilings can become stained and discolored as a result of having too much moisture or humidity in your home. Rooms that are generally damp, including kitchen and bathrooms, are more susceptible to mold and mildew-stained ceilings. This can be prevented by installing proper ventilation and utilizing a dehumidifier if needed. It is important that when installing exhaust fans, you ensure the ductwork in the attic is properly insulated to prevent moisture from creating condensation stains. Structural Problems: Over time, homes will settle. This is normal. However, cracks running the entire length of the ceiling and down a wall is a good indication that your home is settling improperly or a wall stud is damaged or has become weak. If your ceiling begins to dip down or bow, the joist of your home may no longer be able to support the weight of your home. Age of Your Home: As your home gets older, it may begin to show its age in different ways. Most homes will begin to show their age through cracks in the walls and ceiling. These typically present themselves in a spiderweb pattern or short hairline cracks. Unless these cracks continue to grow in size, they can easily be repaired for aesthetic reasons using drywall mud or plaster and paint. Because ceiling damage can be serious, it is important to know how best to prevent ceiling damage from occurring in the first place. You can start by paying attention to your water bill. If you notice it increasing unexpectedly, check for water leaks around your home. This will not only prevent water damage from occurring in your ceiling, but it can also prevent water damage from occurring anywhere in your home. If you live in an area with high levels of humidity and moisture, be sure to utilize a dehumidifier and vents to remove any excess moisture from your home. This is especially critical in bathrooms and kitchens. When water damage to your ceiling occurs and you need water damage experts, call Entrusted. 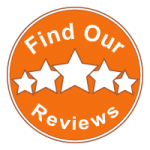 We have the experience to effectively clean and treat water damage to your ceiling or any other part of your home. When you first notice water damage, call Entrusted and minimize future damage and costs!